Bill Belichick was in an upbeat mood after the New England Patriots' dramatic defeat to the Miami Dolphins, saying "no one died". Belichick can always be counted on to convey succinct, pithy messages, whether to his team or the media, and that was the case following Sunday's stunning 34-33 NFL loss against the Dolphins. When asked what he told his players after Miami's last-second lateral play beat New England, Pats head coach Belichick told Boston's WEEI: "It's the National Football League. No one died. "We've got a big game this week against Pittsburgh. We've got a two-game lead in the division. There's a lot of football left in the season. We'll see how it goes." 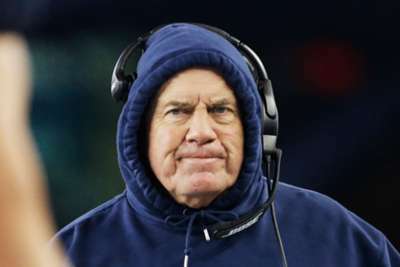 Belichick, meanwhile, shouldered responsibility for New England's loss against Miami after the Patriots (9-4) had taken a 33-28 lead with 16 seconds remaining. "It starts with me. We have to play better situational football. We'll work to try to achieve that," Belichick said.